Jeff & Pippi form the team of Names & Faces... Digital Caricatures and Name Painting. They appear at conferences and events throughout the U.S. Contact us today to inquire about bookings . 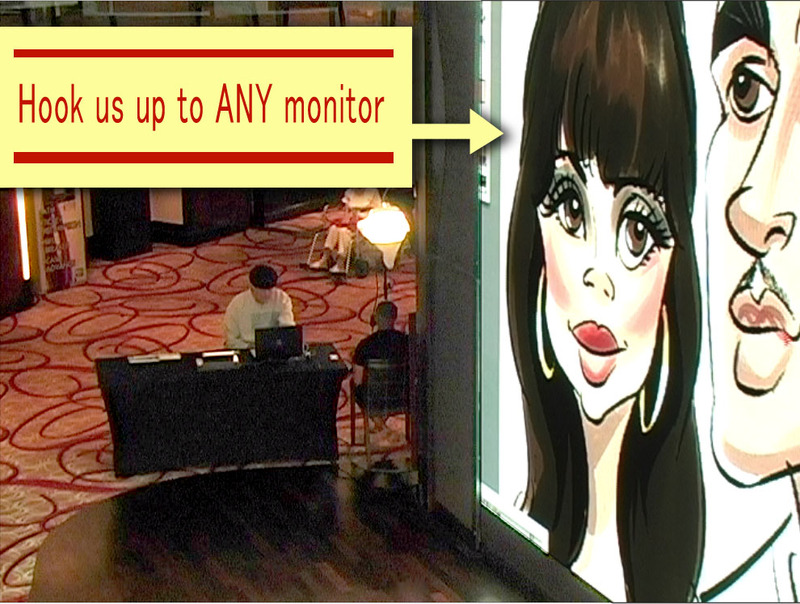 . .
Caricature.com Inc is the Original Digital quick sketch business. We innovated digital drawing for events at least 15 years before all the others . . we knew this was a form of entertainment who's time had come. Initially, this show was created for the meetings industry around 1990 with Macintosh computers and Wacom tablet technology. Then, we moved on to locations in the world's favorite theme park and since, we have traveled extensively to trade shows and corporate events for some of the world's largest corporations, and have since branched out to colleges, cruise ships and private events. Today, we offer completely mobile event services, on-site color printing, free customization of printouts, multiple artists and the ability to mirror our digital image to just about any monitor device. One price does it all. Go with the pros, go with experience. Our artists are always ready to draw anywhere, anytime in the world. We frequently visit convention towns such as Las Vegas, Chicago and San Francisco as well as cities near our home in Orlando. about bookings . . . Happy clients, new contacts and increased awareness for your company and your products. Bottom line… we're here to make you look good. What They're Saying About Us . 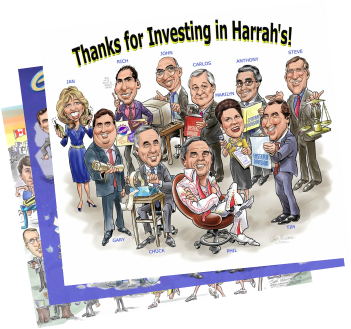 . .
"Instead of using employee photos for our company website, we had caricatures made. We couldn't be any happier with them. The personality of each person in our office was captured in a way that a photograph could never match." Thanks for a great event. Everyone was very happy with your work including myself. We had Names & Faces at our conference, and they were incredibly popular. There was always a line because everybody wanted a caricature, or a name painting, or both. They were an amazing addition to our conference, and I can't recommend them highly enough. Book them!